Four mindfulness skills athletes learn in order to stay in the moment with razor focus. It’s the 4th quarter of the game and the score is tied. There are 24 seconds left on the clock and the ball ends up in your hands. Your team, the fans, the GM up in his skybox—they’re all counting on you. You take the shot … and miss. This is the kind of pressure top athletes face every single game. The expectations are immense and the stakes are high. There’s no time to get caught up in your head, questioning why or beating yourself up for a mistake. You have to stay in the game—you have to focus and refocus constantly. That’s where mindfulness comes in. “It’s all about being present, and if you lose it, how fast you can refocus on the next play,” says mental training coach Graham Betchart. His work with NBA players, such as the Miami Heat’s (and slam-dunk superstar) Aaron Gordon, is all about teaching athletes at the very top of their field how to train their minds just as they would train their bodies. But these skills are not just for sports stars, says Betchart. Anyone who needs to focus under pressure thrives through this work, he says. With that in mind he teamed up with an app called Lucid, to share his mental-training program, including 5-minute guided practices he calls “MVP” which stands for meditation, visualization, and positive self-talk. You won’t succeed until you first make a whole lot of mistakes, Betchart says. Know this, and you’re on the road to developing resilience. But how do you muster the energy to pick yourself up and keep trying when you’ve let everyone, including yourself, down? 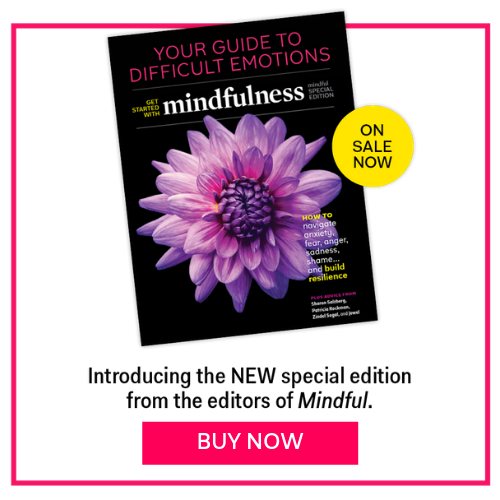 It’s about self-compassion, Betchart says. And no, he admits, this is not a natural trait for a competitive 19-year-old male trying to make his name in professional sports. But it’s essential to cultivate if you ever hope to let go of those things that you simply can’t control. And letting go is how you experience the freedom from doubt that lets you bounce back, start fresh, and actually enjoy the game. Betchart says that most people think confidence starts with a feeling. He believes true confidence stems from action. Instead of basing your confidence on past results or a particular outcome, “you focus on the process,” he says. Stay in the moment and act from there, trusting that all the work and preparation you’ve done will support you. Still scared? Good. There’s real juice in vulnerability, Betchart says. Acknowledge the fear and move toward it anyway, leaning into and trusting in your process. Do this long enough and you’ll build what he calls supreme, or authentic, confidence.